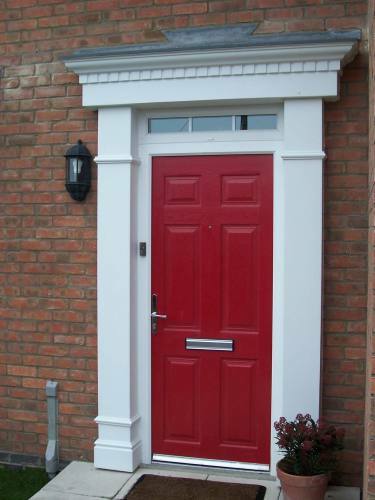 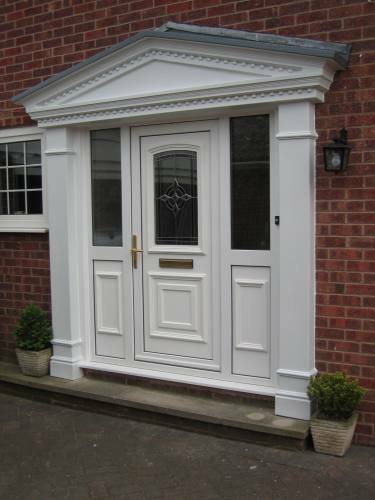 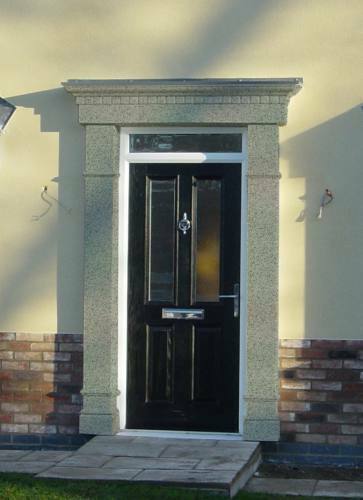 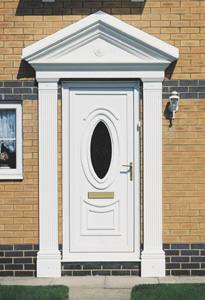 Made from strong rigid GRP, with dentil detailing on the canopy top, this surround will transform your doorway, to give a look that is totally maintenance free. 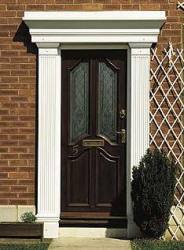 The matching satin finish pillars at 2350mm high, wrap around the door opening to give the impression that the opening is wider. 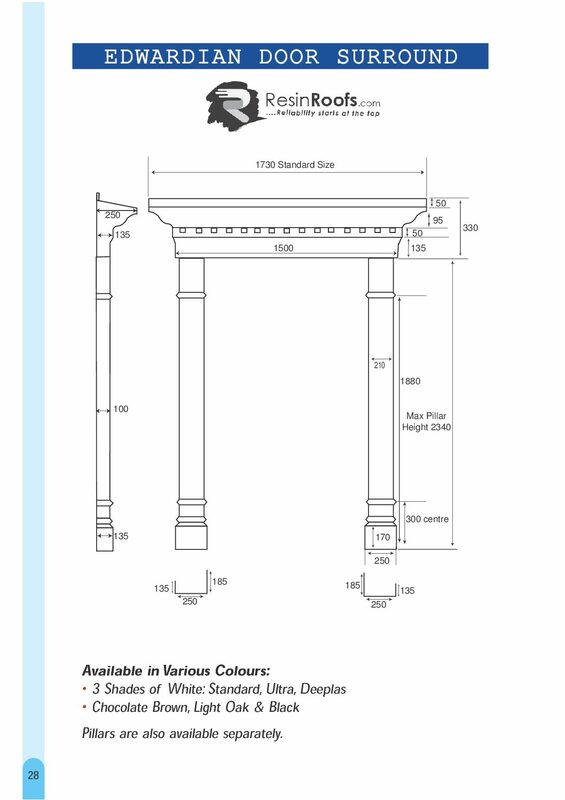 Pillars can be cut to height using a fine toothed hard point saw.